In the wake of a major loss, five sisters agree to meet on the regular to keep it real. But secrets they never saw coming will challenge them and everything they counted on . . . Savvy and decisive, Burgundy Reeves feels blessed with a good husband and a successful career. She is the sister everyone envies. Since her beloved mother's death, she's given troubled youngest sister, Elyse, a stable home when she needs it most. And she's taken it on herself to keep her contentious siblings together. Under her guidance, they all meet bi-monthly on “Sister Day,” a time when they get together to bond, to receive a challenging “assignment”, and to cope with a range of things—including their many differences . . . Among the sisters’ most challenging assignments: tell the truth. But truthfulness leads to an unveiling of secrets that may destroy lives. Burgundy is struggling to show Coco the real deal about her unreliable baby daddy. If she and level-headed Drucilla can also convince hard-headed eldest sister Alita to give Coco more love than tough talk, that might heal a longtime rift. But it’s teenage Elyse’s truth that will shatter Burgundy’s perfect world beyond repair. And putting the pieces back together could make the sisters stronger together than ever—or pull them apart for good. CYDNEY RAX became obsessed with becoming a writer after reading Terry McMillan’s Disappearing Acts. Her author dreams were realized through her eyebrow-raising debut novel, My Daughter’s Boyfriend. Her novels include My Husband’s Girlfriend, Scandalous Betrayal, Brothers & Wives, and My Sister’s Ex (cited by Essence® as one of 2009’s best reads). She has also contributed to the anthologies Crush and Reckless. Born and raised in Detroit, Cydney graduated from Cass Technical High School and earned an undergraduate degree from Eastern Michigan University. She resides in Houston. 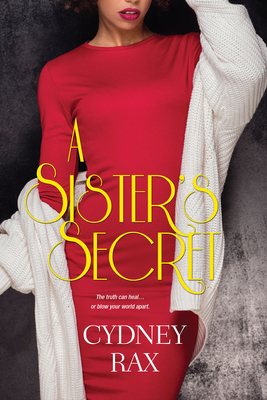 Visit her online via Facebook, www.cydneyrax.com, or email her at booksbycyd@aol.com.